Clogged pores can cause skin irritation, infection and acne. Clogged pores are one of the top contributing factors to acne breakouts, no matter what your age is. One of the best ways to cleanse your facial pores is by giving them a steam bath. 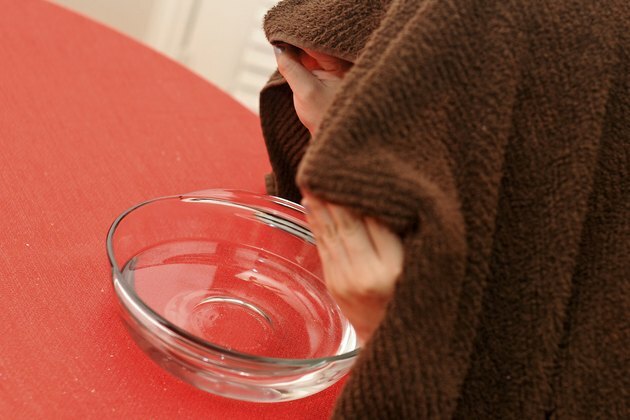 Steaming your skin is like taking a bath that cleans from the inside out. Warm steam cleanses your pores by causing you to sweat, which opens the pores and helps push any dirt and debris out. 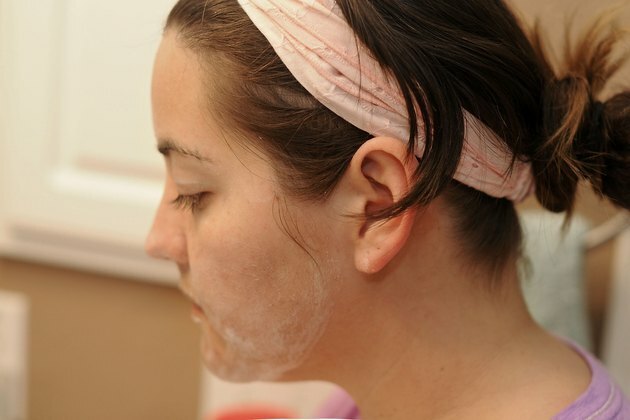 Giving yourself a steam facial at home is simple and requires no specialized equipment. Pull your hair away from your face with a hair tie or headband. 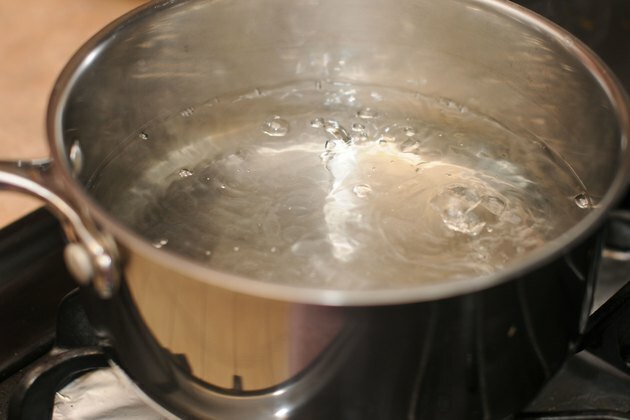 Put 5 cups of distilled water into a large pot and bring to a boil. 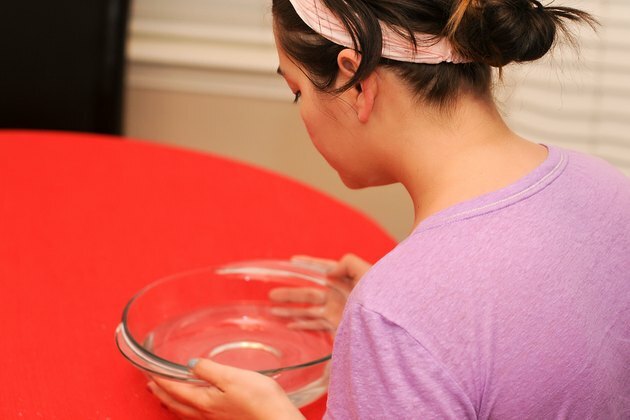 Transfer the hot water to a large glass bowl, making sure that the bowl is set securely on a table. Sit so that you can comfortably place your face over the bowl of steaming hot water. 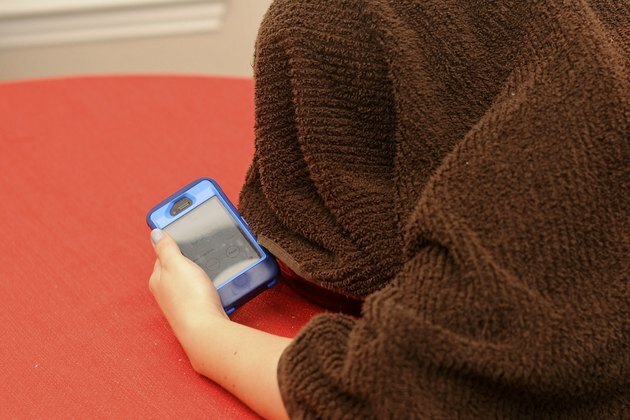 Drape a towel over your head so that you make a tent over you and the bowl of water. If at any point you feel the steam is too hot on your skin, move your face farther away from the water. Stay over the steam for about 10 to 15 minutes, or until the steam cools. Wash your face with the cleanser of your choice, then rinse three to five times with lukewarm water. 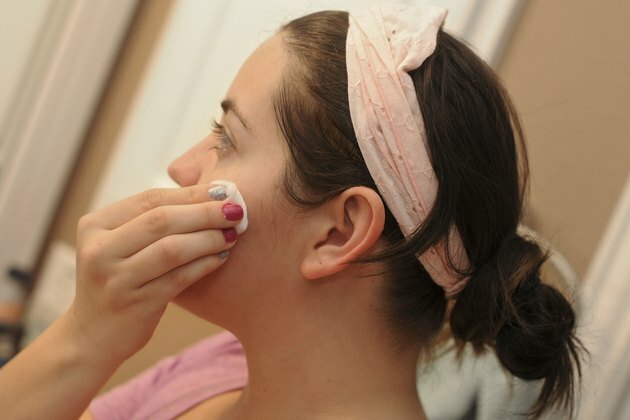 Place some astringent or vinegar on a cotton ball and rub it all over your face. The astringent helps remove debris and cleanses the pores. 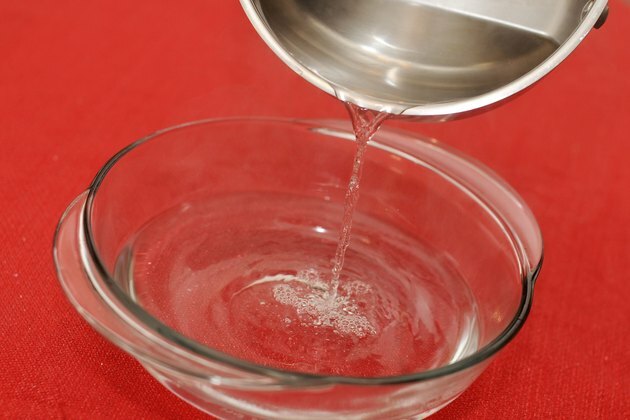 Rinse the astringent with lukewarm water, then make your final facial rinse with cool water. Pat your skin dry with a clean towel. For extra pore-cleansing benefits, put some peppermint herb root or 1 drop of peppermint oil into the steaming water. It is important to use astringent on your face after you have opened your pores to prevent any dirt and debris from going back into them. Never tug or rub on your skin, as you can damage your skin's elasticity and also cause irritation.